Many of my golfing partners stick to the old adage that it never rains on a golf course. Sadly in British Columbia, there are often days and days of relentless rain and sadly, it does definitely rain on the many wonderful golf courses. Then of course there is snow at times which will make golf impossible. British Columbia covers a large area with a range of climate zones so rainfall does differ from area to area. There is more rain in the coastal regions and less in the southern interior but certainly enough to frustrate many an eager golfer. Virtual or indoor golf is one way to get in a bit of practice or even enjoy a full round of golf even in the worst weather conditions. Many of them are also open quite late so rain or no rain, you can still get a bit of golf in after the sun has set. These are not the only advantages. Thanks to advances in technology, modern golf simulators or virtual golf offers an amazing experience. They range in their sophistication and benefits but most will allow you to play on courses that would generally be out of reach for most of us and the experience is remarkably realistic. It is also less expensive than a round of golf. Many of the simulators provide you with swing analysis and a range of other information that can help improve your game. A number of the indoor golf facilities offer lessons and instructions by professionals that will further help you to improve your game. Or, you can simply go to enjoy a round of golf in comfort. Drinks are always close by, you do not lose any balls and there are no other players holding you back. 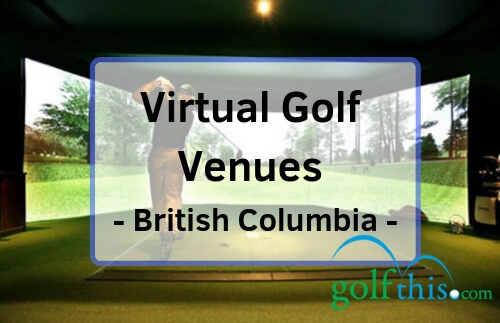 There are a good number of indoor virtual golf facilities in British Columbia. Despite the sophisticated technology behind some of these golf simulators, sadly many of the facilities do not seem to have great online marketing skills. If you live in the area you have probably heard from friends, seen sign posts or driven past them. If you are searching for them online it is a bit more challenging. We scoured the internet to find as much detail and information on the indoor/virtual golf facilities available. Many do not have their own websites so much of the information comes from third party sites such as Yelp, TripAdvisor, Yellow Pages, Groupon or regional directories. Sadly, these sites provide very basic information. If you want to try some of the facilities, here is what we have found. We have broken it down by city and provided as much detail as was available for each venue. If you intend to visit one, it is probably wise to contact them first to confirm details such as availability, opening times and the specific features they offer. If you are wanting coaching you would generally have to book this in advance. According to their site, this is their promise: “One Under provides a unique venue for lunch, dinner, or just meeting friends and colleagues. A fresh approach to day and nighttime entertainment and the game of golf itself. The 5000 square foot golf club is situated in the heart of Vancouver’s Financial District and features six top of the range golf simulation bays supplied by industry leaders at HD Golf. Once you have had your golfing experience, enjoy the drinks and fine foods available. 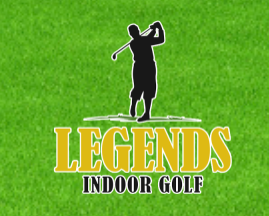 Situated at 7-31550 South Fraser Way in Abbotsford, Indoor Golf Centre. 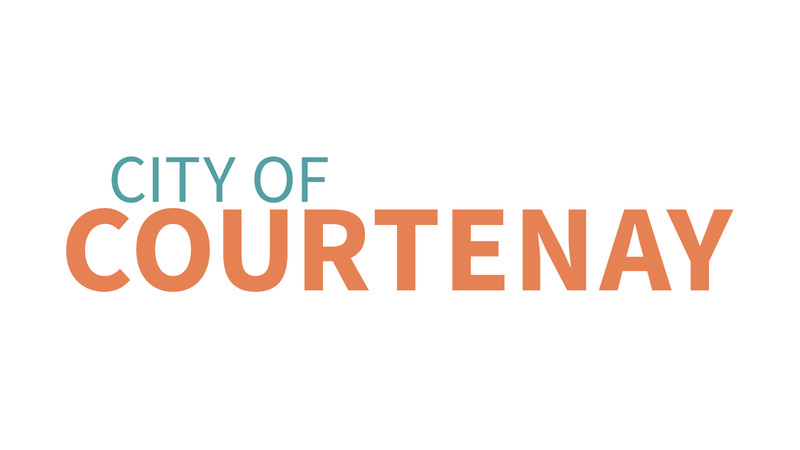 Call 604-852-0951 for opening hours. This is one of the more advanced virtual golf facilities in BC. Using the TruGolf system you have access to a realistic and accurate 3D experience at any one of the more than 70 courses available on their system. These include some of the most prestigious and exclusive (not to mention expensive) courses in the world. Playing these course in the flesh is an experience most golfers only dream about but this is as close to the real thing as you can get. Other features of the system include the TruTrack system that uses high-speed cameras to analyze your swing. The sophisticated technology and software will give you valuable feedback on your swing as well as other aspects of your game. They also offer golf lessons, swing evaluation and professional club fitting. Another highly sophisticated system is the Zone GolfIn simulators that also make use of the TRUTRAC golf system. This will analyze ball and club data and give you a swing analyzer as well as insights into what you are doing are why the shot is behaving as it did. This feedback will defiantly help you improve your game. A great benefit is that the swing analyzer works weather you are practicing or playing an actual game so you will always have access to the feedback. They use the latest E6Golf v1.6 system with incredible resolution and amazing realistic backgrounds. This is about as real as it gets without actually being there. The system also stores your scores and data for later comparison and analysis. For the ultimate practice experience they offer range and putting practice with a swing analysis after every shot. Private bookings outside of regular business hours available. For a more laid back indoor golf experience you can enjoy a beer or two while you try out the golf simulator at Underdogs Sports Lounge. They also offer darts and pool. This is a great venue to get some golf in during the winter months. They offer training for individuals as well as juniors, league nights and a range of playing or practice rates. Golfland in Kamloops offers 4 full swing golf simulators featuring 54 world-class courses. Here you can practice or play a round on their two HD Golf Simulators. You will have a choice of 25 top courses and they offer a range of pricing options. Lessons are also available if you want to work on your game. For lessons and indoor golf or lessons, Main Street Golf offers the latest in golf simulation. The offer more than 40 courses with amazing 3D graphics for an exciting realistic experience. They also have the latest is coaching software if you need help with aspects of your game. 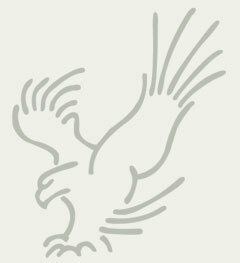 They also sell a range of golf equipment and provide a club fitting service. You can enjoy drinks, meal and the Indoor 3D Golf Simulators that offer a choice of a number of international courses. Zone Golf offers coaching (outdoor) from LPGA certified coaches as well as competitive or recreational golf. The academy includes a 3600 square feet indoor facility which offers putting and a gym. These folks offer a range of indoor simulated golf options. Very few details are available so best to call them first. Certified instructors will help improve your game using the latest technology in their indoor facility. They use TrackMan swing-analysis software that incorporates motion sensors and provides you with a video analysis of your swing. They will also guide you with club fitting. Golftec offers state of the art technology and top-quality certified coaches to help with every aspect of your game. They have indoor and outdoor facilities. They have a wide range of services and pricing plans to suit all golfers. We might have missed one or two virtual courses but our list offers quite a good number of facilities to choose from. That way, you can keep your game going all year round and get in a bit of coaching when necessary.